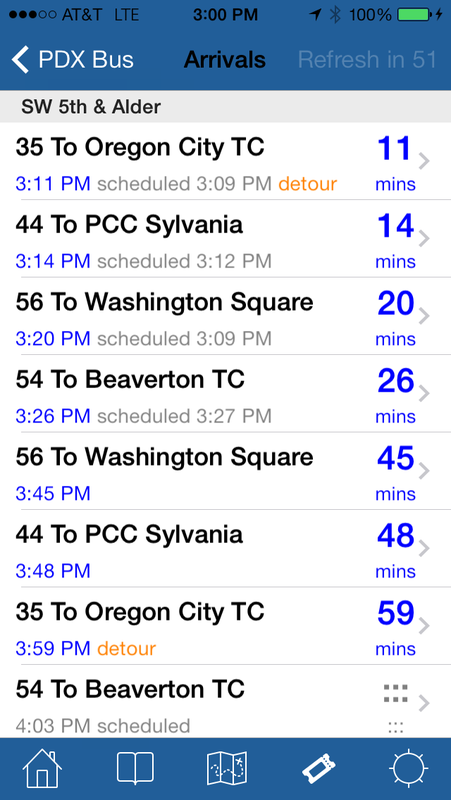 PDX Bus - a free Open Source iPhone app for Portland bus and train times: Dissecting a bad review and what's coming next? Dissecting a bad review and what's coming next? Most of the reviews I get on iTunes on PDX Bus are good and just say that they like it. The bad reviews are actually more useful as it they give me an insight into how people are using the app and what I need to do to make it better - I take them very seriously. However, this can be hard if the review has non-constructive elements - this means I have to work through my initial negative response. One recent reviewer in particular did a good job of outlining the use case that was giving them grief, but some of the additional phases (such as "OH, FORGET IT" and "What. The. Heck?") made me want to ignore it completely. (I wonder if people don't realize that this app is done by one person, in their spare time just for the fun of it?). Anyway, the main gist of the review was that the "nearby stops" toolbar item on the main screen doesn't fit his use case, as he wants a single-click option to show the closest streetcar stops on a map. I've been thinking a lot about how to make this better. One problem here is that there are so many use cases, and addressing them all is impossible in the time that I have. I am not using any "tracking" software to allow me to see how people use the app. 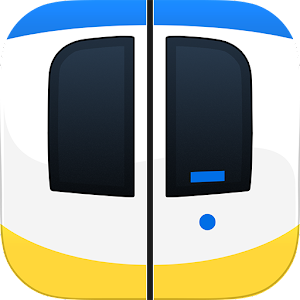 The nearby stops toolbar button always does the same thing (this is not clear) - it simply shows the arrivals for the closest stops, sorting the stops by distance. The "Locate nearby stops" menu item allows you to choose the distance, type and what to display (map, arrivals or routes). The toolbar icon is different from the menu icon. The use case for the toolbar is for when you are close to some stops and just want to see what's arriving; I publish the arrivals and not a map as a map is not so useful without knowing what busses are going to arrive. "Locate nearby stops" has a new option to set the toolbar button behavior - you can now display the options page or just the results. The toolbar button will use the last options set in the "Locate nearby stops" page. The toolbar icon and "Locate nearby stops" icon are now the same. The reason the map zooms out to "1/4 of the state of Oregon" :-) was that it also included the positions of all the vehicles that are to arrive at each stop. This is not useful, and comes from a time when I was experimenting with the data and trying to provide all the information that I could (even when it wasn't necessary). I've changed it so that the map only displays the stops. The maps can now also track the position of the user and orient using the compass so you can find the right stop. Aside: maps will also be able to show any map pin in the Google maps app or several other map apps that I have installed. So I hope this means that the reviewer will be able to display the map that they need once he has set it up. There still are some clicks to show the arrivals for the stop he wants, but I hope this is an improvement. (I wonder if they will update the review? :-P ). 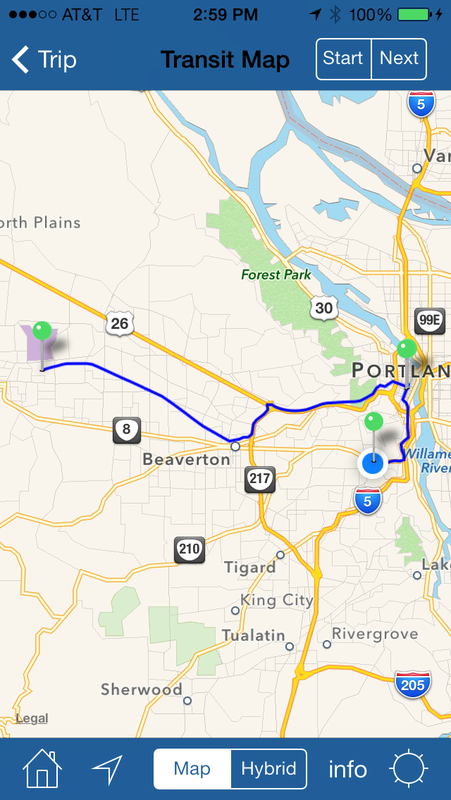 A little more testing and refinement is required but a new version of PDX Bus is on its way! BTW - I am still working on thinking through ideas to update the main user interface - the first screen has too many options on it now and does need to be re-worked, but this will take considerable time and effort. Right now I'm looking into understanding the interface options available. Have you thought about an android port? Actually, the next release will have a new louder alarm. I can't make it repeat as this alarm is sounded by iOS and not by the app, so it is out of my control once it is set. Thanks so much for developing this app, I use it on a regular basis and it suits my needs far better than any other. A new issue I am experiencing is that the Location Services runs constantly, even when I've closed out of the app. I have to go to Settings on my iPhone to turn it on/off, to conserve battery life. Have you heard this from other users? Hi Brighid - it used to do that in the past, but I thought I have fixed it. It is very tricky thing to get right when it goes wrong. My best advice is to email your bookmarks to yourself, delete the app and re-install it. Then open the email with the bookmarks and add them all back. :-( Meanwhile I will look out for it.